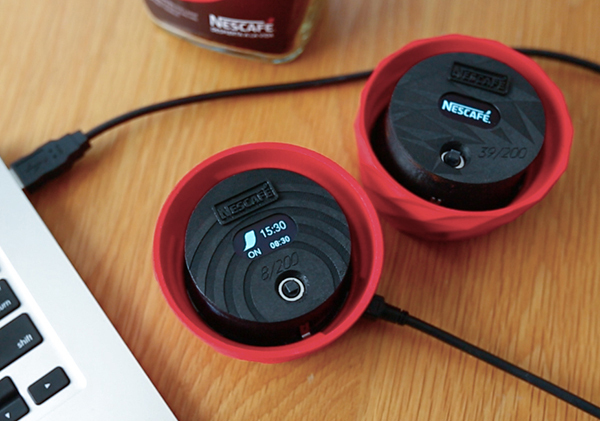 The NESCAFÉ Alarm Cap is here! 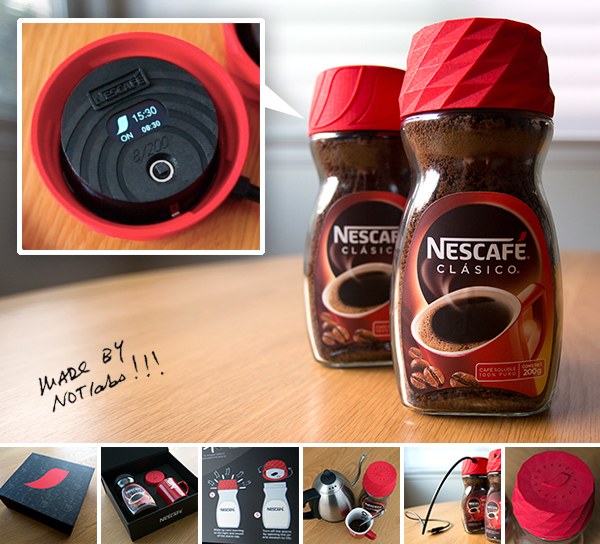 The press release reads: “Mexico City, May 8th, 2014 - NESCAFÉ® embraces consumer maker technologies to quickly design and build 200 limited edition, 3D Printed, Arduino-based NESCAFÉ® Alarm Caps.” and I can’t tell you enough how thrilled I am to show you our latest NOTlabs project. 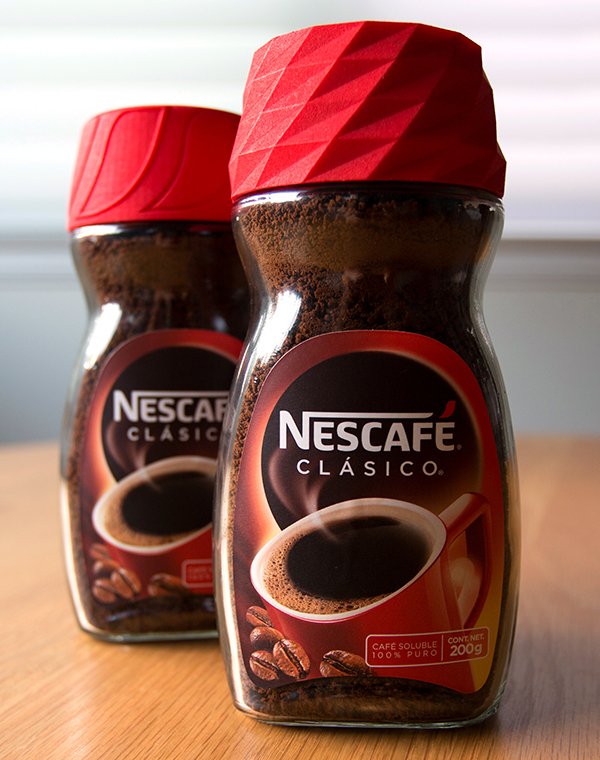 Publicis Mexico’s Innovation Lab brought us on to collaborate in bringing the NESCAFÉ Alarm Cap to life. 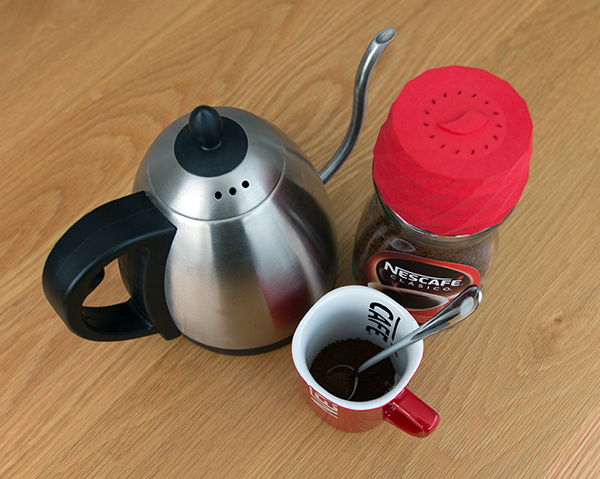 The NESCAFÉ Alarm Cap utilizes 7 different tones synchronized with light, which are scientifically proven to create a soft and natural awakening, ending when you open the cap to enjoy the delicious aroma of NESCAFÉ. 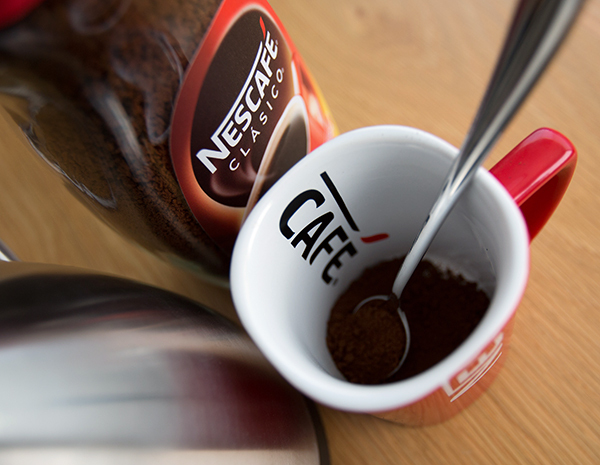 So yes, you can literally wake up and smell the… NESCAFÉ! First - here’s the video! 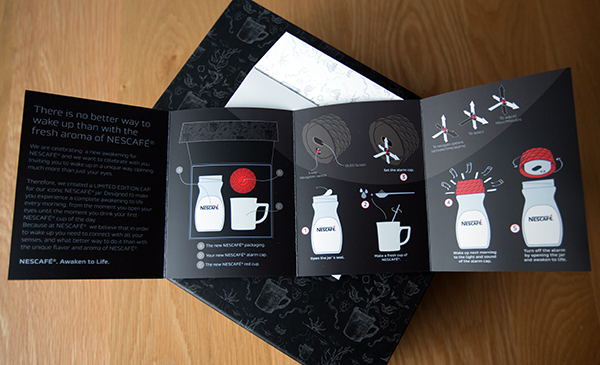 Charmaine Choi’s illustration shows off some of Nescafé’s history - like being the first coffee in space! She’s also tucked a few of the Alarm Caps in the pattern as well! 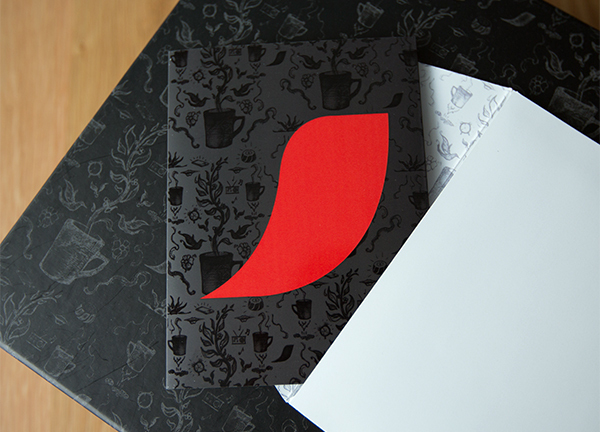 Love the booklet’s gloss on matte printing. A peek inside the booklet! 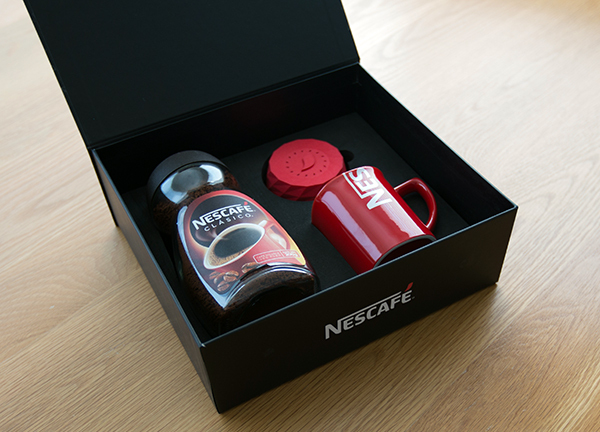 Inside the box you’ll find the new Nescafé branding - from the new packaging to the the new Red Cup (notice the accent in the handle?) 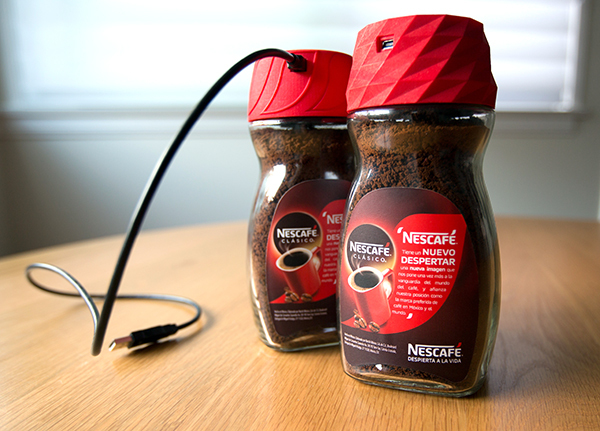 - and of course, the Nescafé Alarm Cap! 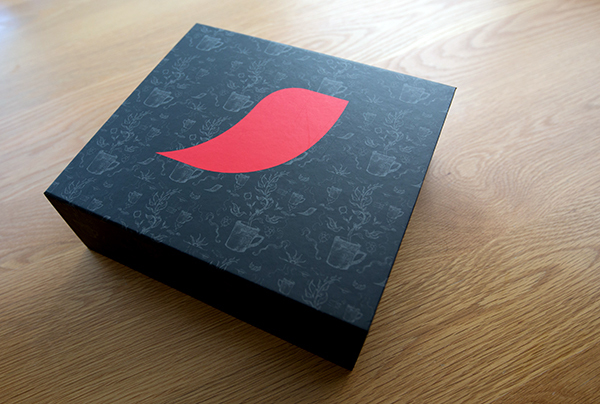 … and the accent cap variant. Beneath the cap is the spiraled USB cable to power the cap. 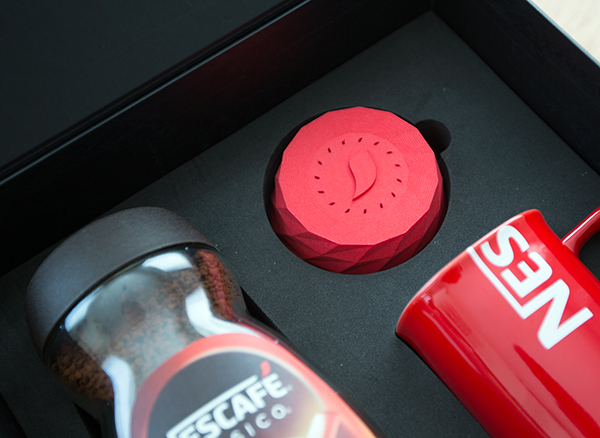 Nice mug detail with the -café and popping red accent inside! 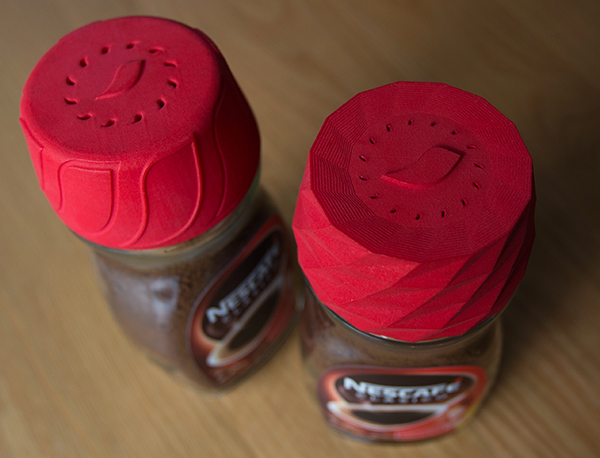 On the underside of the Nescafé alarm caps you can see the current time/status, set the time, set the alarm time, turn the alarm on/off, and play demo mode (hold down for 5 seconds!) These two caps have special laser etched faces and limited edition numbers. 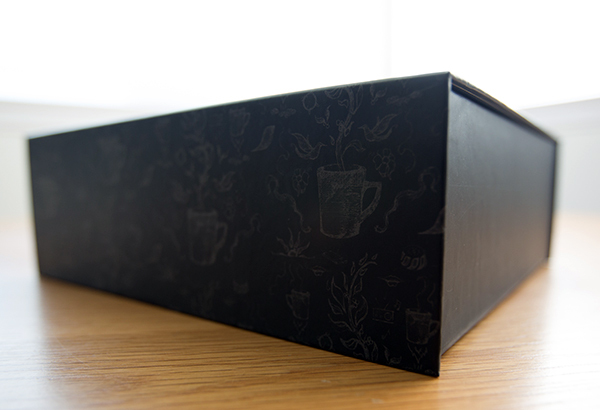 The new labels from the back - and the USB ports! 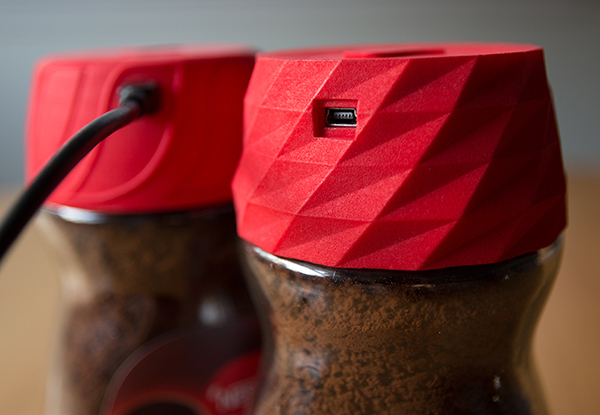 My favorite detail might be the USB port on the faceted cap - we modeled each and every line and curve so meticulously! A proper Making-of coming soon, but for now, see the story at CoolHunting for a look at the process! I love love love the design! Could you please tell me where to get it? 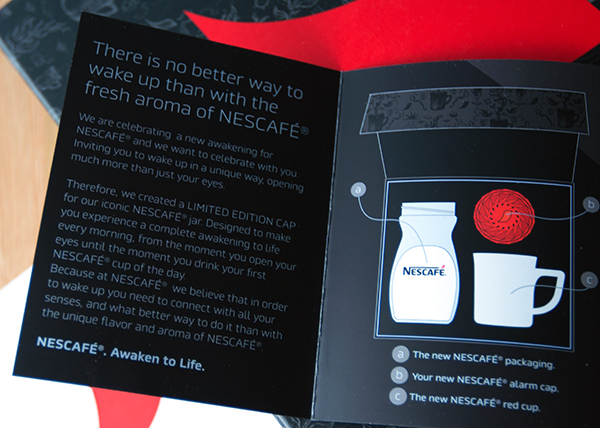 My graphic designer, coffee-loving heart aches for this. Please tell me when it will be available for purchase! Thats a great pack. Makes me feel like a kid and keep it as my collectable……where do I collect this unique momento in NJ? Where can one purchase this…? Love it! Where do I buy?